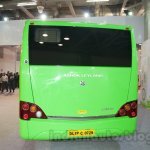 Features include on-board Wi-Fi and integrated charging points. 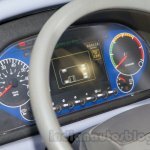 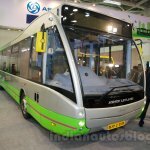 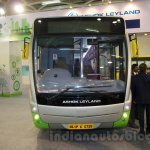 Ashok Leyland unveiled its first zero emissions electric bus in India, the Ashok Leyland Optare Versa EV, at the Bus and Special Vehicles show which is taking place in Greater Noida. 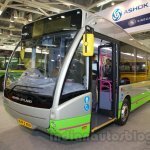 Ashok Leyland Optare Versa EV. 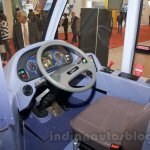 The company says that the Optare Versa EV will be ideal for feeder, airport tarmac and intra-city applications. 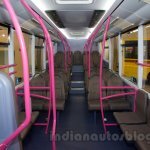 The low-floor bus can accommodate up to 44 seats and is available in lengths of 9.7 meters, 10.4 meters, 11.1 meters and 11.8 meters. 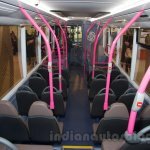 Features on the bus include mechanically controlled air suspension, seat mounted stanchions, regenerative braking, integrated charging points, on-board Wi-Fi, dedicated wheel-chair access and foldable ramp. 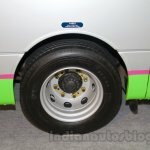 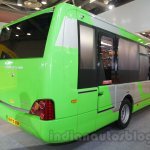 Apart from the Optare Versa EV, Ashok Leyland also showcased the 12 meter FESLF CNG (front-engine, semi-low-floor) bus and the MiTR school bus at the show. 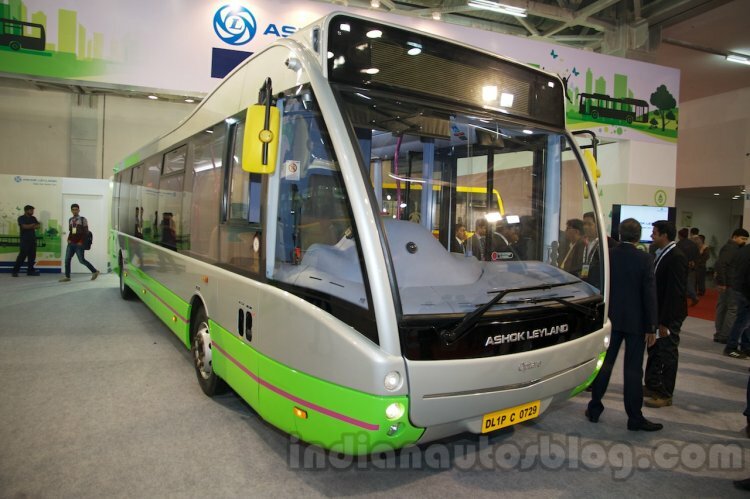 Ashok Leyland FESLF CNG bus. The FESLF is powered by a six-cylinder BS-4 MPFI and TCIC engine with 220 hp paired to a 6-speed manual transmission. 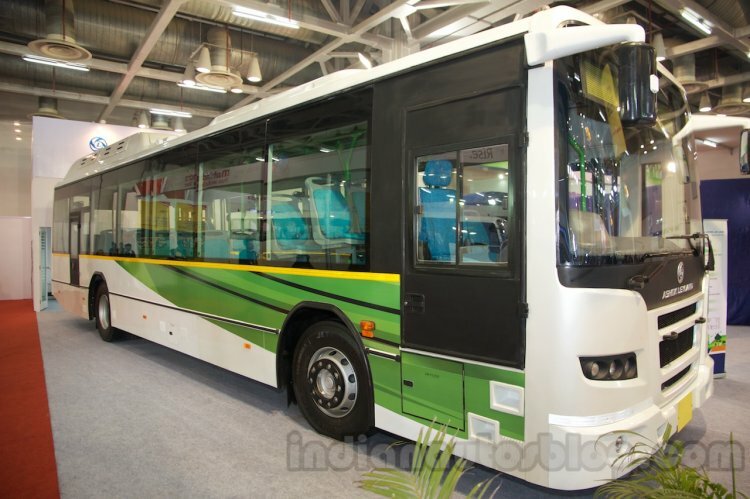 It features a 720 liter CNG tank capacity and has fire detection and suppression control. 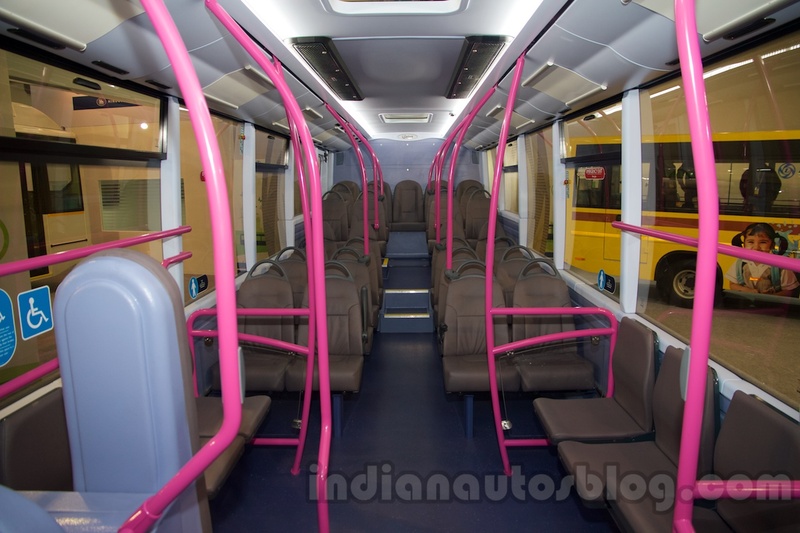 It can seat 45 passengers and a driver.